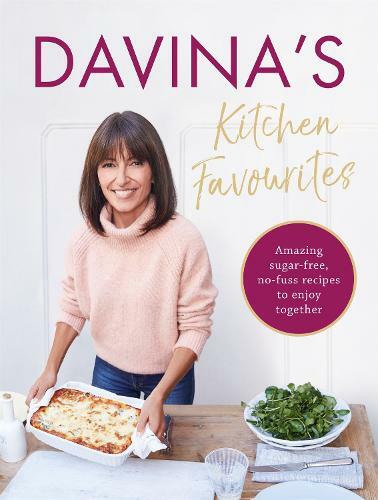 Davina's Kitchen Favourites is her latest cookbook, full of food she loves to cook for family and friends, and lots of easy recipes that keep the show on the road when life gets crazy! "When I'm working, training or running a busy home, I like to stay healthy and to know I'm feeding myself and everyone else just the right amount of what we all need. These recipes are refined sugar free, full of nutritious goodness and don't need tonnes of ingredients to taste amaaazing!" Keep trim, save time and put nourishing meals on the table fast with Davina's Kitchen Favourites. It's full of delicious ideas to bring your favourite people together, a perfect gift for Mother's Day, and a life-saver for that friend who's always on-the-go!